Electrical Communication Laboratory, Massachusetts Institute of Technology, Cambridge, Mass. 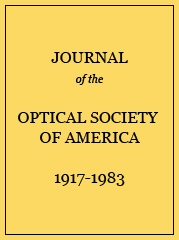 In this paper a method is described of obtaining from a single frequency standard source (quartz plate oscillator) a very large series of frequencies related to the known frequency by a ratio of simple integers. The frequencies thus attainable range from a few hundred to several millions of cycles per second, covering the entire gamut of audio and radio frequencies now in regular use. Not only does the method provide a means for the calibration of oscillators in this range of frequency, the calibration of wavemeters (or frequency meters) and means for obtaining a desired frequency, or frequencies, for laboratory measurements, but also a means of effecting a direct comparison of frequency standards. The most important result is that such frequency standards may be compared even though they are of widely different frequencies, as for example, it makes possible the comparison of a standard of audio frequency with a standard of radio frequency. The application of the method in laboratory measurements makes it possible to refer all work in which determinations of frequency, or steps of frequency are required directly to a single standard of frequency. Simultaneous comparison of an audio frequency standard, a radio frequency standard, and standing waves on parallel wires is possible. Approximate fundamental frequencies (KC/sec) obtainable from a multivibrator using various resistences and capacitances. R=plate resistance, R1=grid resistance.